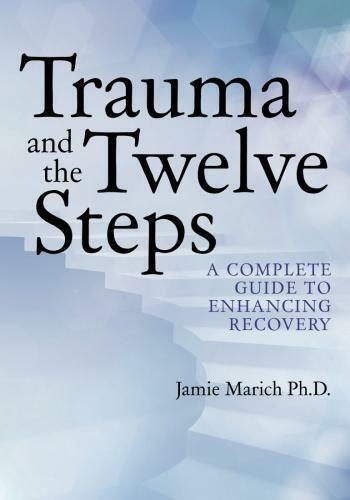 (This beautiful excerpt is from the book “Trauma and the Twelve Steps: A Complete Guide to Enhancing Recovery” by Dr. Jamie Marich who is an amazing individual and published here with her kind permission). Think for a moment about the word wound in a physical sense. What do we know about wounds and the way they heal? When I present live trainings on trauma I ask participants this question because I find that discussing what we know about wounds in the physical sense helps us better understand trauma in the emotional sense. Let’s examine some elementary knowledge. Wounds come in many shapes and sizes. There are open wounds, which include incisions (like from knives), lacerations (tears), abrasions (grazes), punctures, penetration wounds, and the granddaddy of them all, gunshot wounds. Then you have closed wounds, such as contusions (bruises), hematomas (blood tumors), crush injuries, or the slowly forming chronic wounds that can develop from conditions like diabetic ulcers. Each wound has its own distinct character, and various causes can lead to the respective wounding. More importantly, different wounds can affect different people in different ways. Wow, I used different a lot in that last sentence. That’s because the word different is so important in our discussion of wounding. Even as I look at the scars from old injuries that are still apparent on my skin, I am amazed at how no two of my wounds look alike. Sure, there are some similar patterns, especially with certain blisters—not to mention scratches from my pets. However, each one has left its distinct imprint on my body. Many of my past wounds have healed quickly, leaving no sign of physical scarring at all, whereas others have healed without complication but have left a mark, a reminder. And what I’ve mused on so far in this paragraph just applies to me! One of the miracles of creation is that no two people are alike. Add this idea to the reality of wounding, and we see that even if I experience an injury similar to yours, it is quite unlikely that we will wound in exactly the same way. Furthermore, even though wound healing follows a similar process in human beings, a myriad of other variables complicates the process. As an example, if one person experiences a laceration as a result of a sporting accident but her white blood cell production is poor and her overall Vitamin C levels are low, it is likely she will take longer to heal than her peer with better white blood cell production and higher Vitamin C levels who experiences the same injury. 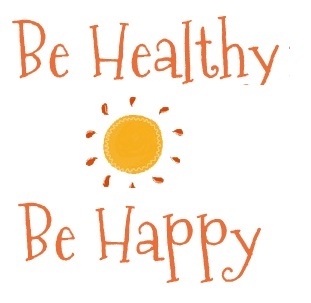 These are just two examples of possible variables that can affect physical healing. Think about other factors like age, health conditions, overall skin plasticity, genetic disorders (e.g., hemophilia), location of the wound, and how soon the patient received appropriate treatment. Most will agree that failure to receive the proper treatment after a wounding can complicate the healing process. Sure, some wounds, especially minor ones, often clear up on their own with little or no treatment. Consider the difference between a healthy man experiencing a minor scrape and a hemophiliac getting that same scrape. Treatment could be a life or death matter for the hemophiliac because of his condition. Most wounds require some level of treatment, even if that treatment is as simple as cleaning the wound and putting a bandage or anti-bacterial cream on it. Significant wounds may need sutures or stitches accompanied by a dose of precautionary antibiotics. The most severe wounds—stabs or gunshot wounds—require immediate medical attention, or the sufferer risks loss of a limb in the long term (especially if infection sets in). Death can result in the worst cases. In sum, if the injured neglects requisite treatment, the wound can get worse, and this worsening can lead to other debilitating physical symptoms. When wounds don’t receive the proper treatment, there is a great chance that complications will result from the wound worsening. What if the wound never gets a chance to heal because outside forces keep picking at the wound? This question is a no-brainer for most people. We know that if wounds don’t receive treatment but instead become further assaulted (e.g., the old cliché, salting the wound), then the wounds are going to get worse, which will delay healing. If this concept makes sense to you when it comes to physical wounds, my challenge for you is to apply this same knowledge to emotional trauma. Like physical wounds, emotional traumas come in various shapes and sizes for people, resulting from a variety of causes. For some people, simple traumas (wounds) can clear up on their own, but for others with more complicating emotional variables (many of which can be biologically based), the healing process may take longer. If an individual who has experienced a major emotional trauma doesn’t obtain the proper conditions to heal (which can include formal mental health treatment) it will likely take longer for the trauma to clear up, and it could end up causing other symptoms. A major factor when drawing parallels between physical and emotional trauma is the notion of rewounding. If a person experiences a traumatic event and does not receive the optimal conditions in which to heal, that is bad enough. But then imagine if other people in his life keep picking at the wound with their insensitive comments and potentially retraumatizing behaviors. Of course, the wound is never going to get better, or, in all likelihood, it will worsen. Wonderful excerpt. Sounds like wonderful book. Trauma is the one of the risk factors for addiction. As Dr. Mariah mentioned, every trauma or wound affects people differently. One person might feel emotionally traumatized by something that doesn’t affect another person in the same way. Although there are more factors, in families, it’s interesting that one sibling may turn to drugs and alcohol to numb the pain of their childhood, while the other sibling doesn’t feel the need. Thanks for sharing. I will definitely look into the book. I hope the saying “time heals all wounds” is that easy.